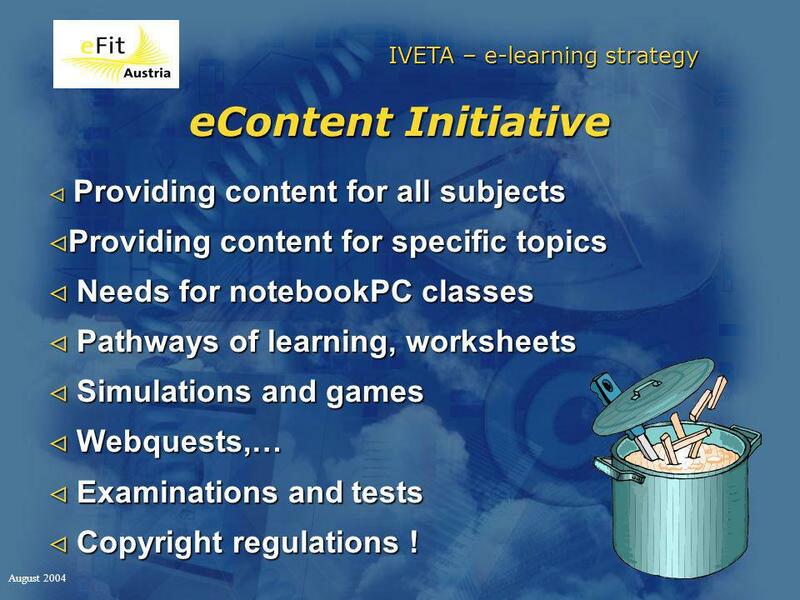 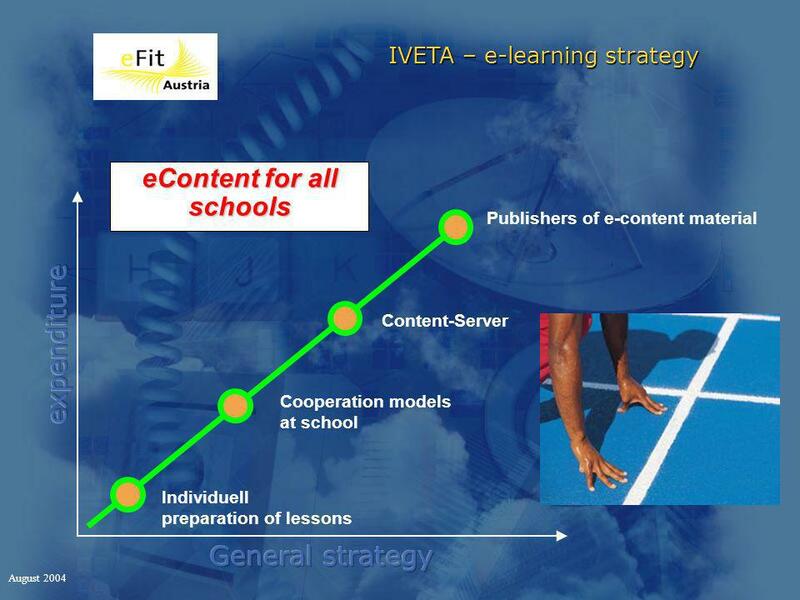 IVETA – e-learning strategy August 2004 eContent Initiative Providing content for all subjects Providing content for all subjects Providing content for. 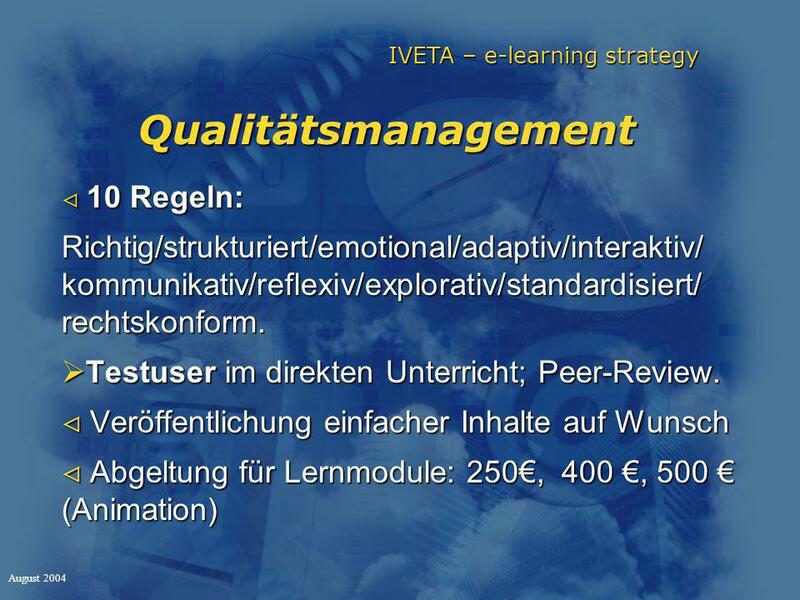 1 IVETA – e-learning strategy August 2004 eContent Initiative Providing content for all subjects Providing content for all subjects Providing content for specific topics Providing content for specific topics Needs for notebookPC classes Needs for notebookPC classes Pathways of learning, worksheets Pathways of learning, worksheets Simulations and games Simulations and games Webquests,… Webquests,… Examinations and tests Examinations and tests Copyright regulations ! 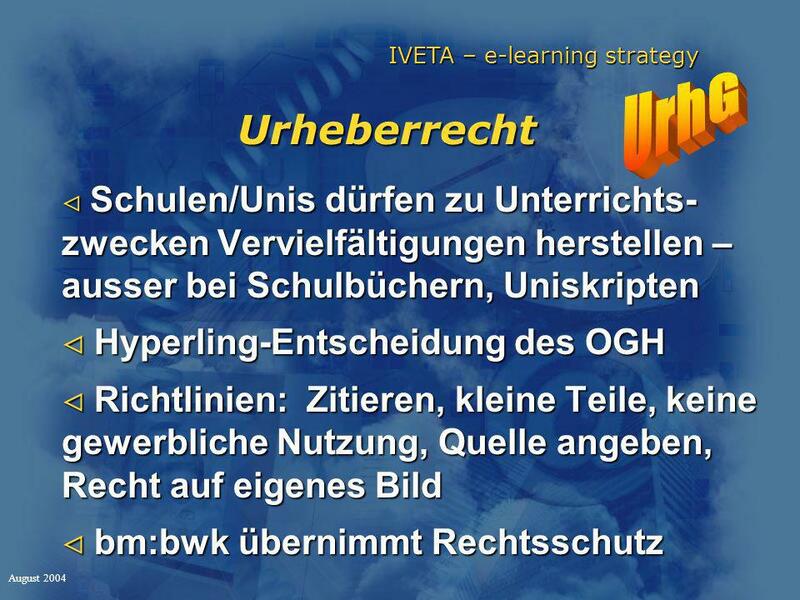 Copyright regulations ! 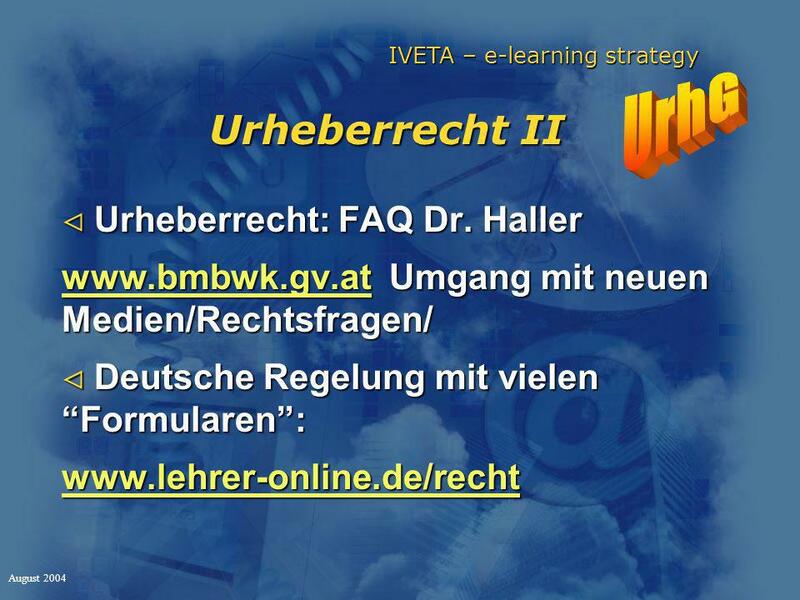 Herunterladen ppt "IVETA – e-learning strategy August 2004 eContent Initiative Providing content for all subjects Providing content for all subjects Providing content for."